I'm happy to officially announce Union Eleven, a new photography venture. Union Eleven is the partnership between myself and Derrick Rice - Wedding Photographer Extraordinaire. Over the past year, Derrick and I have been laying the foundation for our business, with the goal of bringing a whole new experience and level of service to our clients. 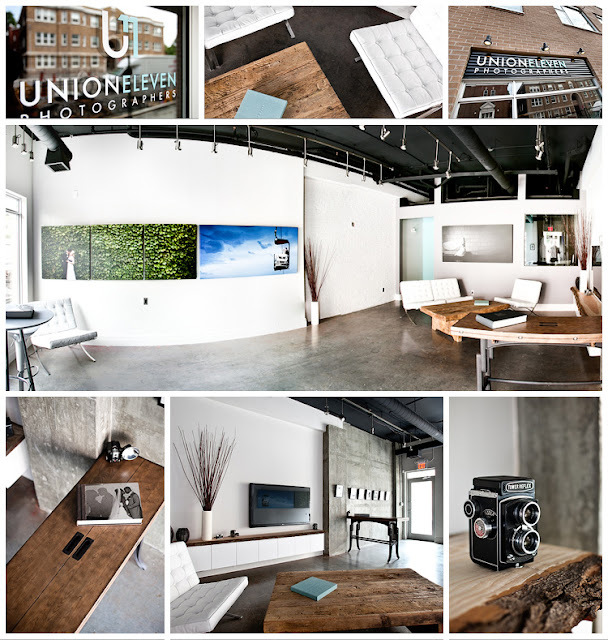 The awesome Union Eleven studio space is now open to the public and everyone is encouraged to stop in and say hello! We're located at 619 Bank St. in the historic Glebe neighbourhood. So with that, I'm happy (and a little sad) to say that this will be my final post. From now on highlights from my work, and other Union Eleven projects and news, will be posted to the Union Eleven Blog. I want to say a big thank you to everyone who helped make Andrew Geddes Photography a success, and the transition to Union Eleven possible. Derrick and I are really excited for what comes next! I believe that the future holds great things for us, and our clients!